Lorraine Guerin with Astronaut Brewster Shaw. Alina Pietrzykowski is a Class of 2016 St. Francis Xavier graduate who is in her junior year at Wisconsin Heights High School. 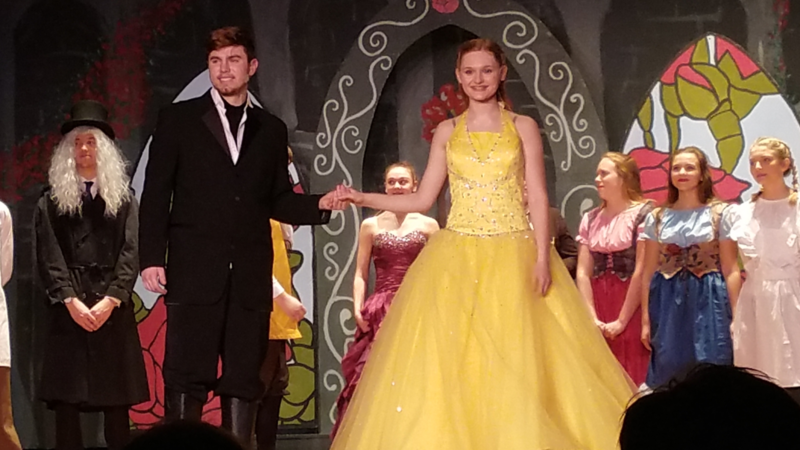 Alina recently starred as Belle in the Wisconsin Heights Drama Department’s presentation of Disney’s Beauty and the Beast. Alina, along with Jenna Ziegler and Raegan Doherty (also Class of 2016 Alum) wowed the audience with a lively and entertaining show. This was Alina’s fifth musical /theatre experience, her first being Dear Edwina Jr. a musical that was put on here at St. Francis Xavier School when Alina was in eighth grade. It was that first theatrical experience at St. Francis, that introduced Alina to her love of acting and singing on stage. As a student of St. Francis Xavier, Alina also participated in Forensics Club, competed in oratorical competitions, performed in the annual Christmas Programs and commentated at Mass. She was a member of our National Junior Honor Society and was voted “most likely to become an actress” by her peers. Alina is currently a member of the National Honor Society, secretary of her high school’s chapter of the Future Business Leaders of America, is the Vice President of Spirit Club and will perform in the Solo & Ensemble in February. As a high honors student, Alina credits her academic performance in high school to the organization skills and diligent study habits she gained at St. Francis Xavier. Alina plans to attend college at the University of Wisconsin - Madison, where she will study Pre-Law. 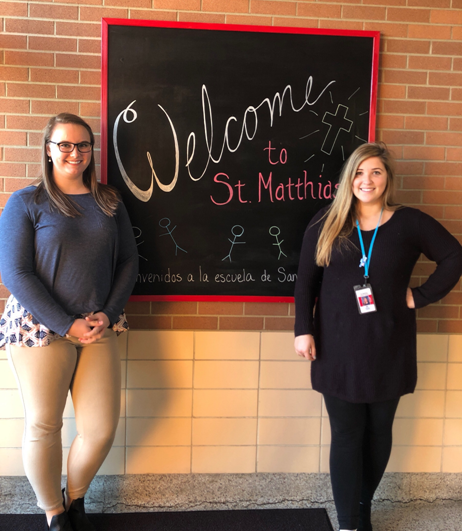 When Sarah Faust (St. Francis Xavier Class of 2008) began her first year of teaching earlier this year at St. Matthias Parish School in Milwaukee, Wisconsin, she assumed she'd be surrounded by like-minded educators who were passionate about sharing their Catholic faith. She didn't expect to find another St. Francis Xavier alum down the hall. She was excited to learn that Mary Duhn, also a St. Francis Xavier student and Cross Plains resident was teaching in the same Catholic School. Sarah attended the University of Wisconsin - Milwaukee, earning her undergrad in education and is currently teaching first grade. She believes that the strong sense of community she felt at St. Francis Xavier along with the positive experience she had here, drew her to teaching in a Catholic school. "Teaching at St. Matthias reminds me in many ways of St. Francis Xavier. I feel I have a great support system and strong connection with my students, families and co-workers." It was teachers at St. Francis Xavier, like Ms. MaryKay Hillebrand and Mr. Jim Beall, that inspired Sarah most. "My nine years at St. Francis Xavier shaped how I viewed school; I felt challenged, supported and loved. And because of that, I loved school. Ms. Hillebrand and Mr. Beall were so dedicated to their students and showed that they genuinely cared about each of us." Kylie Peters, a 2013 graduate of St. Francis Xavier Catholic School, credits the support and encouragement she received at St. Francis with leading her to pursue her dreams of music and theatre. It was all of her peers and teachers encouraging her to do exactly what she dreamed to do that led her to where she is today. She would like to thank St. Francis for providing her a strong foundation in academics, self-assurance, and faith. In high school, Kylie sang in show choir all four years and joined the Chamber Singers for two. In her senior year, she led the Bristol Street A Cappella group and student-conducted the freshman choir in her fall semester. Kylie was also the 2017 recipient of the National Choral Award at Middleton. She has participated in Wisconsin State Honors Choir, sang in a rock band through Madison Music Foundry, and was an apprentice at Madison Opera. In addition to music, she was an active member of Middleton High School Theatre, where she was involved in six shows. Her favorite show was Urinetown, in which she played the role of Hope Cladwell and was nominated for a Tommy Award for Outstanding Lead Performer. The show overall won in the Outstanding Musical category and Kylie had a blast performing at the Overture Center. 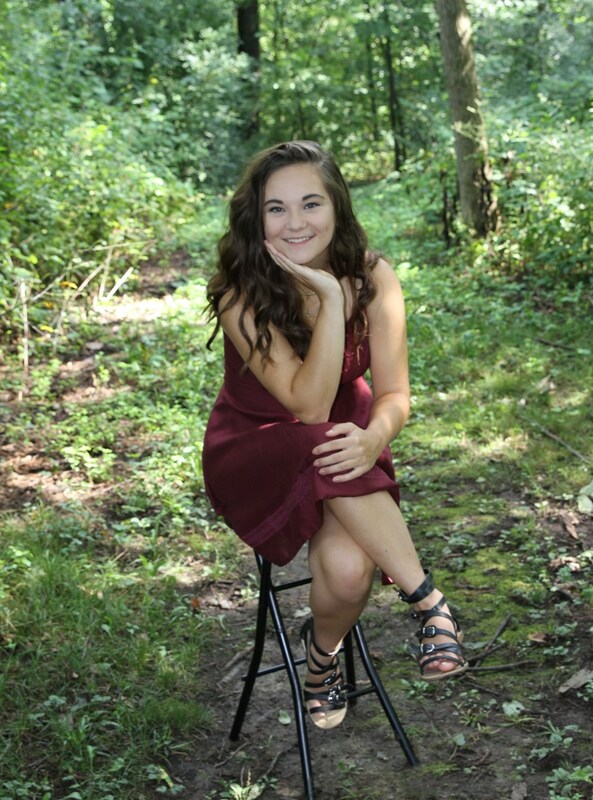 She graduated from Middleton High School in 2017 with a 4.0 GPA and has now combined her two passions; she studies both Music Therapy and Theatre Arts at Carroll University in Waukesha, Wisconsin. She is a recipient of the highest academic scholarship available and is a member of Carroll’s Honors Program, finishing her first semester with a 3.96 GPA. At Carroll, Kylie has already been involved in two Theatre Productions-- Numbers Nerds: The Musical and Hamlet: A Cover-- and sings in their Concert Choir. In addition to performing, she works on the Theatre’s PR team and is the secretary of Carroll Players, the first student theatre organization in Wisconsin, founded at Carroll University. Most of her time is spent practicing piano, voice, or guitar, memorizing dance moves, or studying with her friends. Jack Jesse is a 2012 St. Francis Xavier graduate who is in his sophomore year at the University of Notre Dame. Jack is a student in the Mendoza School of Business studying Accountancy. In Jack’s freshman year at Notre Dame he earned All- ACC Conference Academic Honors. 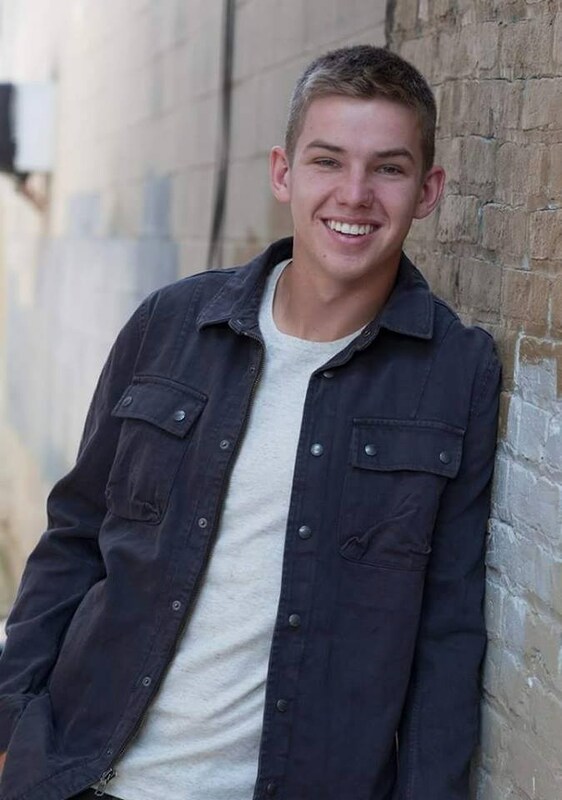 Jack graduated from Middleton High School in 2016 as an Honors graduate and was a member of the National Honor Society. 2 time Big 8 Conference champion, 4 time Big 8 Conference team champion, 2 time regional champion and 2016 Sectional champion. Even with his athletic ability, Jack could not attend an elite academic University like Notre Dame without stellar academic credentials, the foundation of which was established at St. Francis Xavier. Jack reflects on his days at St. Francis Xavier as having been instrumental in forming his work ethic and compassion for others. Jack has great appreciation for the sense of community at St. Francis and for the life long friendships that started in grade school. His favorite memories are the many St. Francis sports game days and the annual Edgewood Track Meet, lunch being supervised by Mrs. Ruhland, great times in Mr. Beall’s classroom and the annual Rollerblading unit in Ms. Runyon’s gym class. 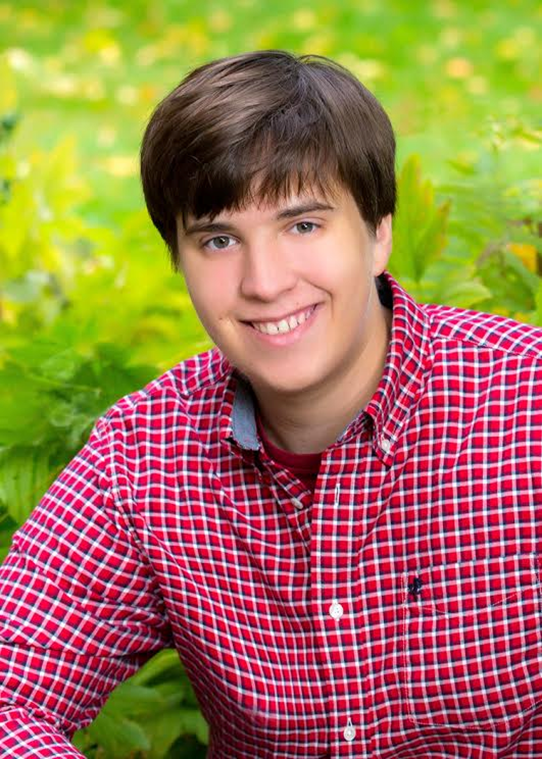 Randy Krueger earned a perfect score of 36 on his ACT while attending Edgewood High School during the 2015/2016 school year. Randy is a class of 2011 graduate of St. Francis Xavier School. He earned High Honors and received an Academic Excellence Award all four years at Edgewood. He was also a member of the National Honor Society and is a semi-finalist for a National Merit Scholarship. Lorraine Guerin (class of 2007) received bachelor degrees in Latin and Engineering Mechanics and Astronautics from UW-Madison in 2016. During her years of undergraduate studies at Madison, she performed research on nonlinear vibrations with application to hypersonic aircraft and also received a $10,000 scholarship from the Astronaut Scholarship Foundation. 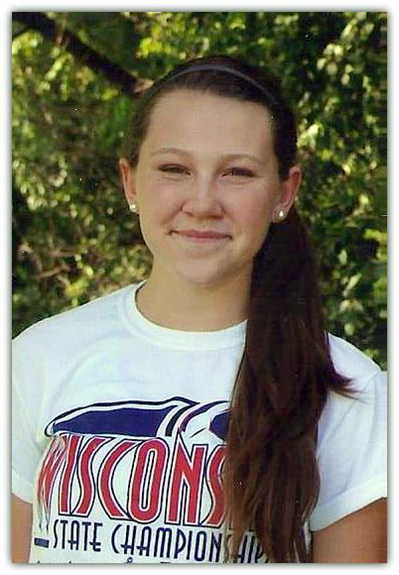 While attending UW-Madison, Lorraine also enjoyed playing on the women's ultimate Frisbee team. Currently, Lorraine is attending graduate school at Stanford University on a full scholarship, where she will receive her master’s in Aeronautics and Astronautics Engineering in March of 2018. 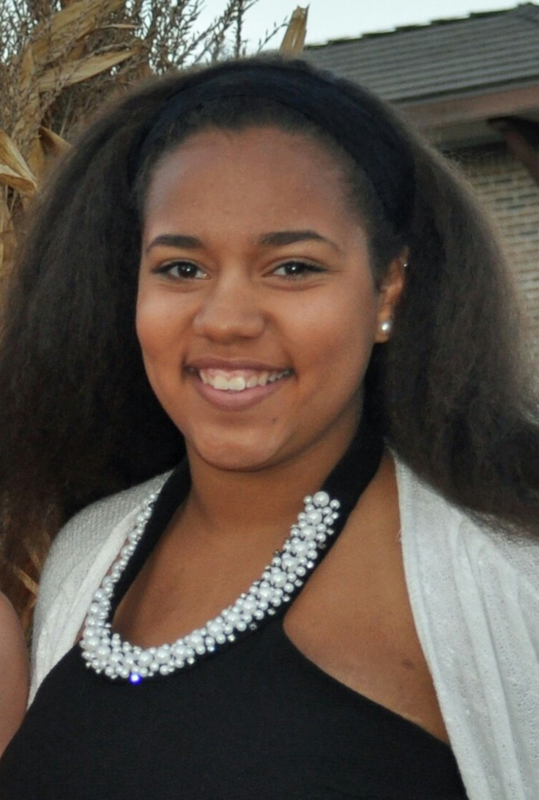 The Urban League of Greater Madison has selected Bryelle Coleman as a recipient of their annual Outstanding Young Person Award. Outstanding Young Person awards are a central part of the Urban League’s commemoration of Dr. Martin Luther King, Jr.’s legacy. Each year they look to honor Dane County Youth who excel in academics, extra-curricular activities and community service. Bryelle was nominated by the faculty and staff of Middleton High School for their belief that she is an outstanding student, deserving of this award. Bryelle was recognized and presented with her award on Sunday, January 18, 2015 at the Urban League’s 31st Annual Martin Luther King, Jr. Youth Recognition Breakfast at Edgewood High School. Joshua Utter (a 2005 graduate of St. Francis Xavier) went on to Edgewood High School, before attending Loras College. Josh has had highly successful high school and college experiences and has dedicated much of his young life to the service of others. "While I was a student at Loras College in Dubuque, IA, I served as an Americorps volunteer at the Dubuque Multicultural Family Center and Big Brothers Big Sisters. 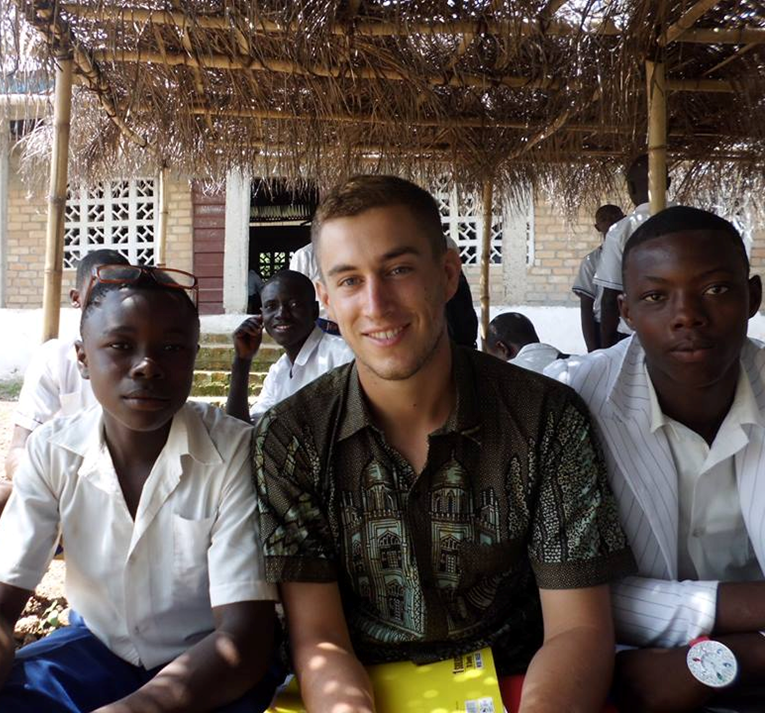 After graduation, I packed my bags and moved to Sierra Leone, West Africa to work as a Peace Corps volunteer. I taught English to high school students in a rural town, while also aiding in other projects around the school and community. Upon my return to the United States, I spent a year as a Servant Leadership Team (SaLT) missionary at Camp Gray in Reedsburg, WI. As a member of this team, I helped facilitate environmental stewardship, leadership, and confirmation retreats for the youth of the Madison Diocese. Currently, I'm spending the 2015-2016 school as a Jesuit donné (a year of discernment with the Jesuits) at Creighton Preparatory School in Omaha, NE. At Prep, I assist in the Spanish classroom, coach cross country, and work with campus ministry. As I sort through the 9 years of memories and experiences that St. Francis Xavier School has given me, I find it difficult to name one specific experience as the one that has left the biggest impact. Advent programs, school masses, washing dishes after lunch, and a trip to Camp Gray all stick out to me as very memorable and formative moments. But if I need it to narrow it down to one that truly sticks out, I have to acknowledge the Adopted Grandparent program. As I wrote my letters to and received letters from Bob Bollig, I came to realize that everyone has a story to tell. Our correspondence helped me discover that the St. Francis Xavier School community extends beyond the classroom. It taught me new ways to communicate and to appreciate the thought and care one puts into a letter. It fostered a friendship that motivated me to move out of my comfort zone and get to know those different from myself. I am so grateful that St. Francis Xavier School provided me with that experience." 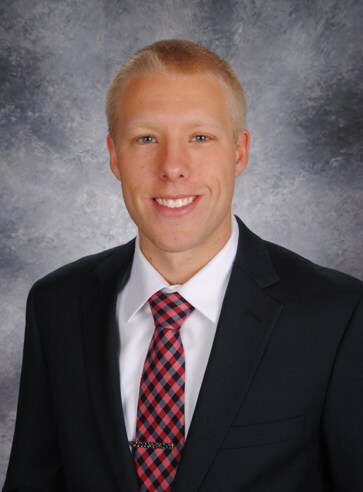 Peter Guerin (a 2006 graduate of St. Francis Xavier) graduated from UW Madison with a Masters Degree in Biomedical Engineering in just 4 and a half years. He was on the UW Rowing and the UW Ultimate Frisbee teams and completed undergraduate research in the Shusta Lab identifying antibodies to transport molecules/ pharmaceuticals across the blood brain barrier. In graduate school he was a Teaching Assistant in bio-instrumentation and bio-mechanics. Today, Peter works for a startup company called Marvel Medtech, with fellow Parish Member, Ray Harter, where he is working to develop an advanced MRI-compatible robotic system in conjuncture with real-time MR imaging techniques to enable more effective breast biopsy protocols and breast cancer treatment. In the spring of 2016, St. Francis Xavier took part in what we hope will become a time honored tradition. 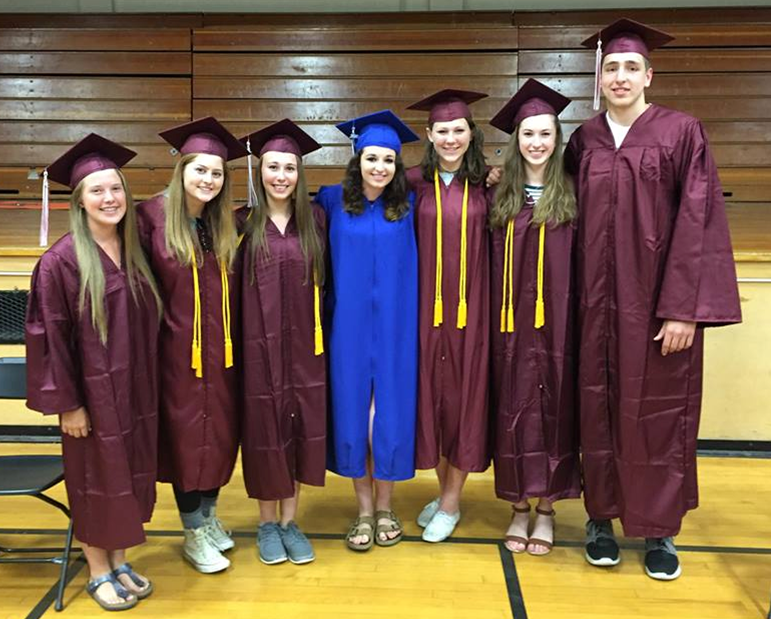 A “Senior Walk”, where graduating High School Seniors returned to their elementary schools donning their cap and gown took place in May and we were thrilled to welcome several of our alumni back to St. Francis Xavier. Our current elementary and middle school students had the opportunity to hear from the grads about their high school careers, plans for the future and advice on how to make the most of your high school years.They made a big impression on our students and we couldn't be more proud of them! The class in total, had 21 students when they graduated 8th grade at St. Francis Xavier. All 21 graduated high school and are now attending various colleges across the United States. 52% of the class finished their high school careers with honors and at least three are collegiate athletes. They are certainly an impressive group, and their success speaks highly of the preparation at St. Francis Xavier, academically, socially and spiritually. Grace Douglas graduated from St. Francis Xavier in 2012. 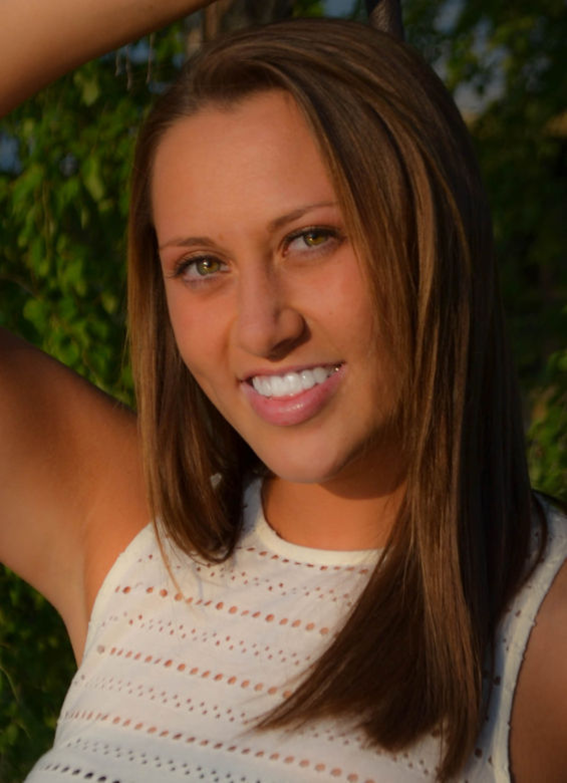 She currently attends UW–Madison, where is plays Soccer for the Badgers. 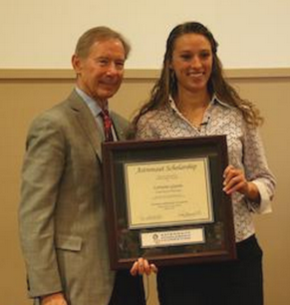 In addition to her outstanding achievements in athletics, she earned a GPA of 3.94 in High School. There is no doubt that Grace has put in a lot of hard work to achieve her goals, but she also attributes much of her success to her family and experiences gained at St. Francis Xavier. “I have many fond memories of my time at St. Francis. Some that stand out are four-square at recess, Catholic Schools Week, middle school dances, and most importantly the close friendships I formed with my classmates. Though the transition from little St. Francis Xavier to Middleton High School was a big one, I never felt uncomfortable or unprepared at the high school. In fact, the foundation I received at St. Francis allowed me to take a variety of honors and advanced placement courses and maintain a 4.0 GPA throughout my high school years. Emily is a class of 2010 St. Francis Xavier graduate, who attended UW Madison. She served as a Peer Catechist in our high school Confirmation program, was named a National Merit Finalist and is also a talented and accomplished dancer.